Serenbe Photography Center is located in the Serenbe Community a short drive south of Atlanta. Robin Davis also has an interesting workshop opportunity coming in October. This is something not to be missed and you have plenty of time to plan ahead for this. What would be better than spending a few days in Savannah in October? How about spending those days with Robin Davis, Savannah native. Join Robin October 14 through 16 for Haunted Savannah. Today in photography there is a buzz about alternative processes. Many photographers experiment with many methods to find something appealing to them and presenting an end product that they love. In recent weeks we have presented workshops by Michael West and the VanDyke Brown tinting process, Tom England has helped you hone your artistis vision, Robin Davis has worked with students to create an interesting portrait. September 10 & 11 Todd Vinson leads you into the adventure known as Wet Plate Collodion. 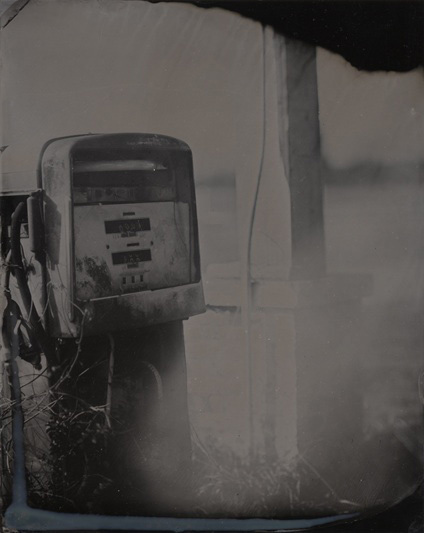 Todd leads you through an intensive two day hands on workshop to introduce students to the process of wet plate collodion photography with a comtemporary twist. In 1851, the Englishman Frederick Scott Archer discovered that collodion could be used as an alternative to egg white (albumen) on glass plates. This also reduced the exposure time when making the image. This became known as the 'wet plate collodion' or 'wet collodion' method. Collodion was also grainless and colorless, and allowed for one of the first high quality duplication processes, also known as negatives. This process also produced positives, the ambrotype and the tintype (also known as 'ferrotype'). Visit the Serenbe Photography Center website for our convenient online sign up for these or any other workshop. There is always something new going on at the center. We recently held our first monthly member meeting. Check out the membership page and plan to attend a meeting. Not only a political legend and icon, Barry Goldwater’s mastery of photography garnered him the prestigious honor of having been inducted into the Royal Photographic Society of Great Britain and he was a lifetime member of the Photographic Society of America. With clear vision and an artist’s touch, Barry’s critically acclaimed images earned him international recognition in the elite world of fine art long before fate assigned him a leading role in the political arena. The Gallery at Serenbe, in partnership with the Serenbe Photography Center, is proud to present Barry Goldwater: The Eyes of His Soul Exhibition From September 3 through October 29, 2011. Goldwater received a camera as a gift from his wife on their first Christmas together. He went on to embrace the hobby and become an accomplished photographer. Goldwater contributed photographs to Arizona Highways and published three books of his photography; People and Places, Barry Goldwater and the Southwest (forward by Ansel Adams), and Delightful Journey. Barry Goldwater’s photographs were last showcased in Atlanta in 2008. The Gallery at Serenbe will host a special reception, welcoming Goldwater's oldest daughter, Joanne Goldwater, on October 1 from 5pm to 8pm. She will sign copies of the book, The Eyes of His Soul and discuss her father's images with guests. "I am delighted to be a part of this exhibition to show the public my father's works." says Joanne. Gallery hours during the exhibit are Thursday 10am-5pm, Friday and Saturday 10am to 6pm, and Sunday 1pm to 4pm; other times by appointment by contacting The Gallery at 678-519-1238. This is a unique opportunity to view the exhibit and take home extraordinary work by Goldwater as well as a signed book by daughter Joanne. 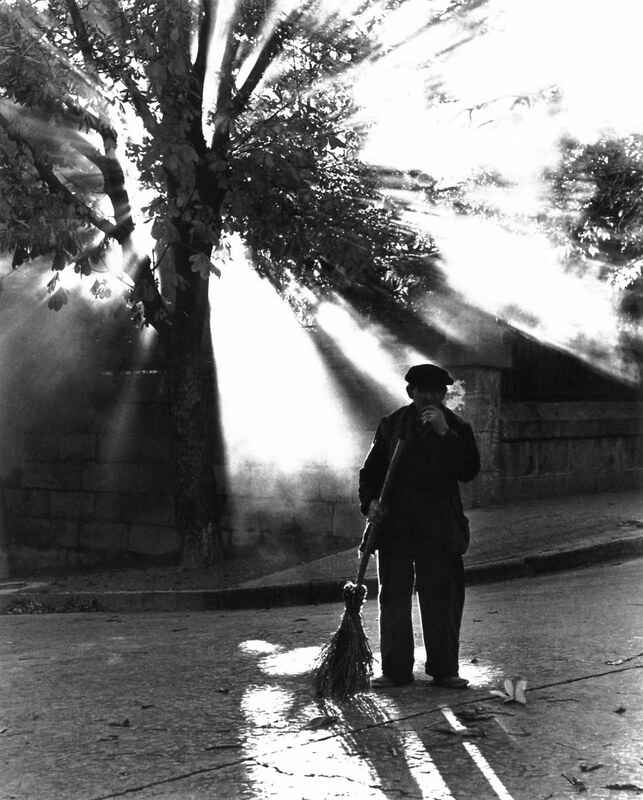 For the collector of photography it presents the chance to purchase a wonderful piece of art with a great history. If you would like a signed book, but cannot attend the reception, please contact The Gallery to make arrangements. 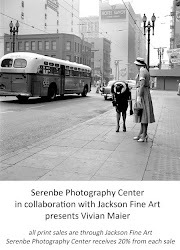 For more information on this event and the Serenbe Photography Center visit http://www.serenbephotographycenter.com/. Two Exciting Workshops this Weekend! Both Robin Davis and Michael West will be giving workshops this weekend at Serenbe. In the morning West will demonstrate how to combine modern and vintage printing techniques in this exciting new workshop. Photographer Michael West will guide you thru the basics of creating your own digital negatives and how to tint hand coated, vintage Vandyke Brown prints using inkjet printers. This one day workshop teaches photographers the basics of combining inkjet color with the vintage Vandyke process and how to create the digital negatives used for this contact print process. The morning session will be devoted to learning the skills and techniques for making digital negatives and toning prints on inkjet printers from students' own digital photos. Participants will then learn how to hand coat, properly expose and process the hybrid Van Dyke Brown prints. Everyone will have their own hand-coated vintage print of their work to keep! No previous traditional photographic printing experience is required. 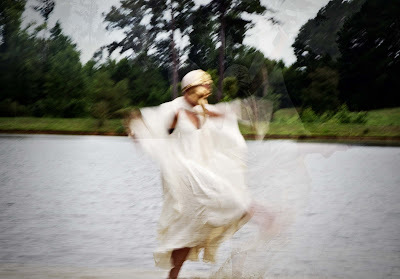 Also, once again Robin Davis leads a wonderful exploration of the narrative portrait, working with the photogenic Serenbe Playhouse actors in their costumed production of “Shipwrecked”. Robin offers this unique opportunity to learn special techniques, often with low lighting, to create images that look much like paintings and illustrations. Robin Davis is known for her elegant and highly creative on-location portraits, often of models in costume, that evoke stories with overtones of mystery. Her highly successful work has been used to illustrate book covers and in advertising. Robin will show how low light, stage light, and camera settings and techniques can be used to create mood and mystery – to create visual characters that tell a story. Robin also shows how to direct models most effectively, and design the entire shot using effective backgrounds and other elements to compose a successful and alluring image. Each participant will have the opportunity to work directly with professional actors and models to create and capture their vision of character and story. This special workshop includes seating at “Shipwrecked,” performed by Serenbe Playhouse in an outdoor evening setting under the full moon. Prior to the play, Robin will present examples of photographs created in low light, and discuss camera settings and her techniques, and then we will work with the actors before and after the performance. In between, the attendees will see the play, which begins at 8:30. Whether you wish to enhance your theatrical photography skills, learn some great tips to enhance your family portraits, or just watch a master photographer turn reality into magic in front of your eyes - you will thoroughly enjoy your time with Robin Davis. Both of these workshops will be excellent ways to enhance photographic skills and have a fun unique experience! The workshop with Robin Davis was anything but the average workshop. Within minutes of us shooting, Robin had dressed up as an ethereal white goddess to help aid us in our photographic process. We were just doing a practice shoot before the Serenbe Playhouse actors arrived but some of those images turned out phenomenally as we explored blur and panning by elongating the shutter speed. Our images were eerily and ghost-like as Robin swirled around in the lake that was part of the stage for the production of “The Ugly Duckling.” When the actors arrived the real fun began as we grouped the actors who played the animals together in various poses in and around the lake. The leapt and swung through the water and surrounding woods as we further explored how to create motion inside the camera. One of the greatest things taken away form this workshop was how exactly to manage so many models to manipulate and create a desired image in and outside the camera. It was truly an exciting experience as the group worked with seven of the actors in their costumes. Be sure to check out Robin Davis’ upcoming workshop on Sat Aug 13, Victorians in Low Light. Once again Robin Davis will lead a wonderful exploration of the narrative portrait, working with the photogenic Serenbe Playhouse actors in their costumed production of “Shipwrecked”. Robin will offer this unique opportunity to learn special techniques, often with low lighting, to create images that look much like paintings and illustrations. We had so much fun with “The Ugly Duckling” that this upcoming workshop will be a great way to explore mood and motion in photography. Joining SPC is easy Click HERE to visit our website to join today.